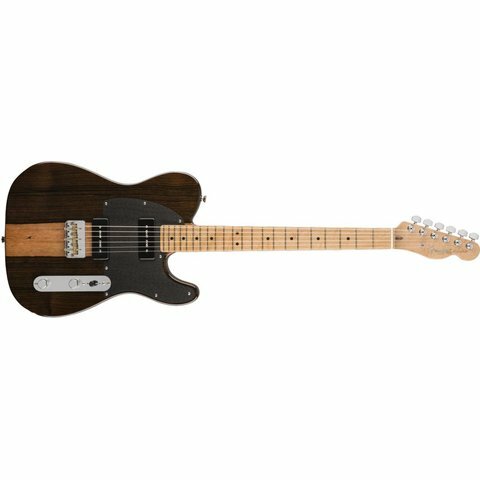 A departure from traditional tone wood choices, the elegant Malaysian blackwood top combines with an alder body for a totally unique aesthetic. 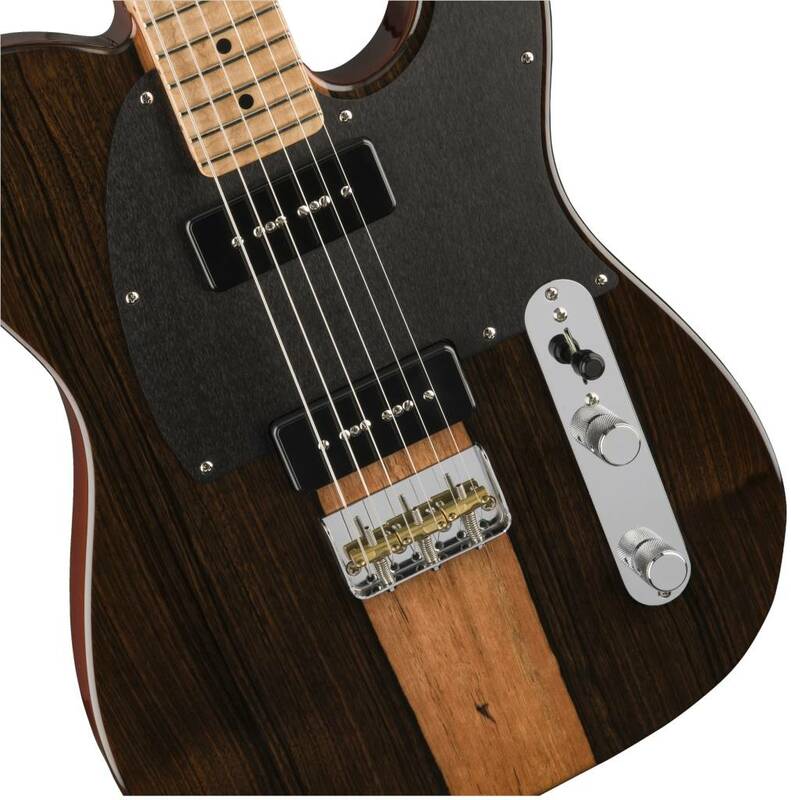 Malaysian blackwood is strong and dense, and provides plenty of glassy sustain perfect for soaring leads and raucous rhythm work. 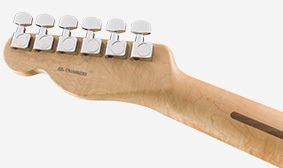 Designed for comfort and speed, the new “Deep C” neck profile sports more substantial shoulders. 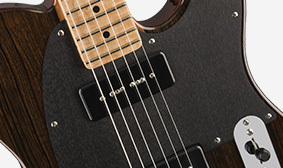 The increased mass and altered geometry creates a more natural feel that’s perfect for chord and single-note playing alike. 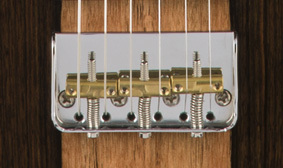 Featuring a string-through-body design and three compensated brass barrel saddles, the custom short-cut-plate bridge provides vintage vibe and rock-solid intonation. 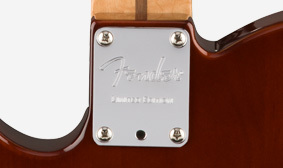 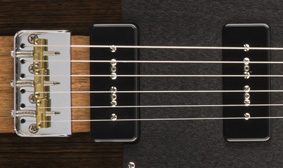 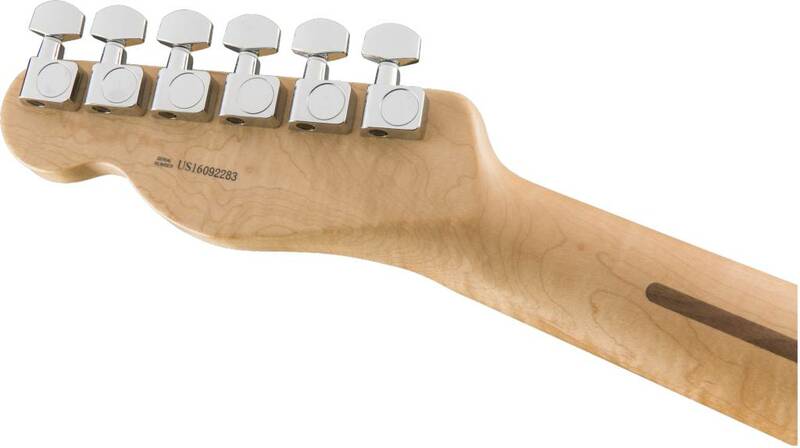 The two JP-90 single-coil pickups found in the neck and bridge positions offer vintage-style tones ranging from subtle to screaming with plenty of mid-range growl and high-end bite. 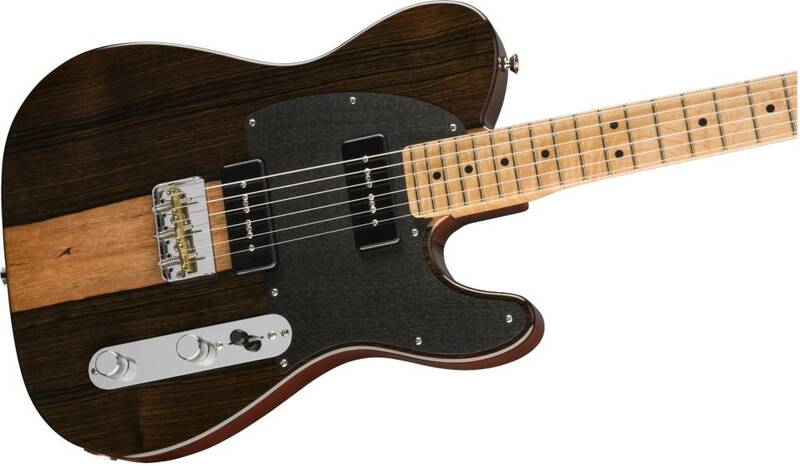 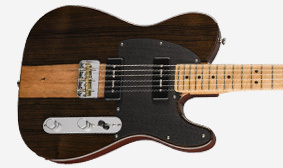 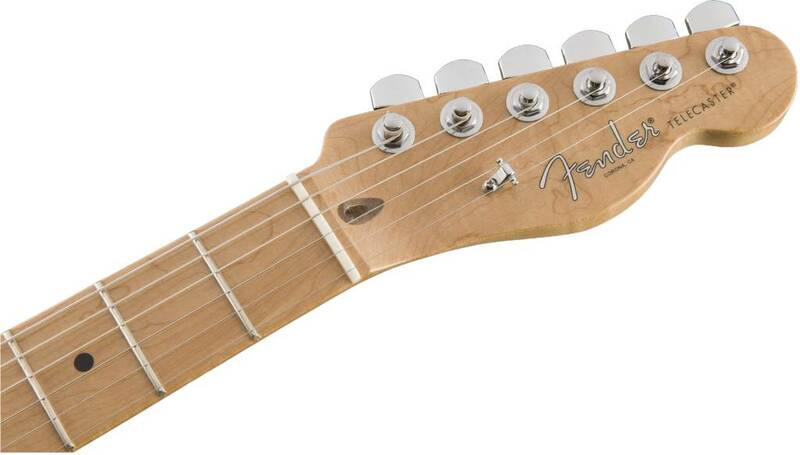 A 1-ply anodized aluminum pickguard gives this guitar a classic and classy look.